September 18, 2011 — So, I don’t know if you guys heard, but Vincent Price was resurrected a few months ago…and it was all thanks to a bunch of meddling kids and their dog. 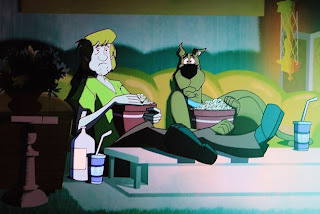 On last year’s Halloween blog, I wrote about the promise of the new Cartoon Network Scooby Doo cartoon series called Scooby Doo! Mystery Incorporated. 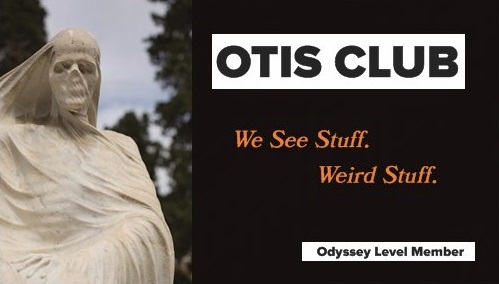 Unfortunately, it hasn’t quite lived up to that potential. The series writers know how to make cool references and the animation style is solid (too rare in cartoons currently), but the storytelling’s weak, the individual mysteries are often irrelevant, and the main mythology intrudes on the individual episodes. 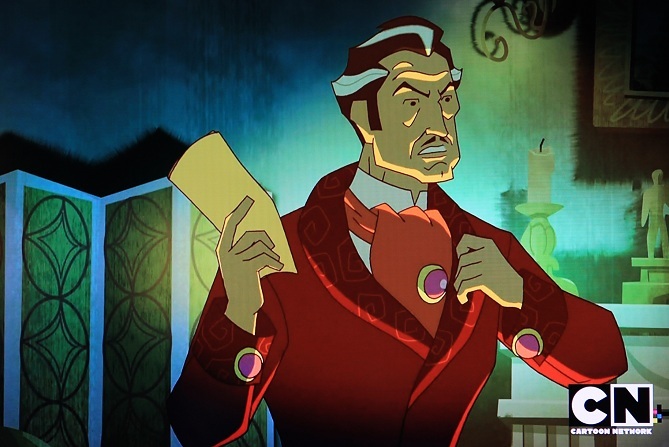 However, one of those cool (and recurring) references is Vincent Van Ghoul, a character originally created for The 13 Ghosts of Scooby Doo. 13 Ghosts was a short-lived 80s cartoon about a revamped Scooby gang (minus Fred and Velma, plus Scrappy Doo, Flim-Flam, and Van Ghoul) who tromp across the world trying to find 13 of the world’s most terrifying ghosts that the group accidentally looses upon the world by opening the demon-faced chest in which they were imprisoned. The only really good thing about the series, though, was Vincent Price, who not only voiced Van Ghoul, but allowed the animators to draw the character to look like him...plus a cape (I assume that was Vincent Price’s condition for contributing his likeness because it would be mine). In the new incarnation, Van Ghoul is a horror movie actor that Shaggy and Scooby are fans of, so he basically just pops up on TV anytime the two settle down into their couch with bowls of popcorn. 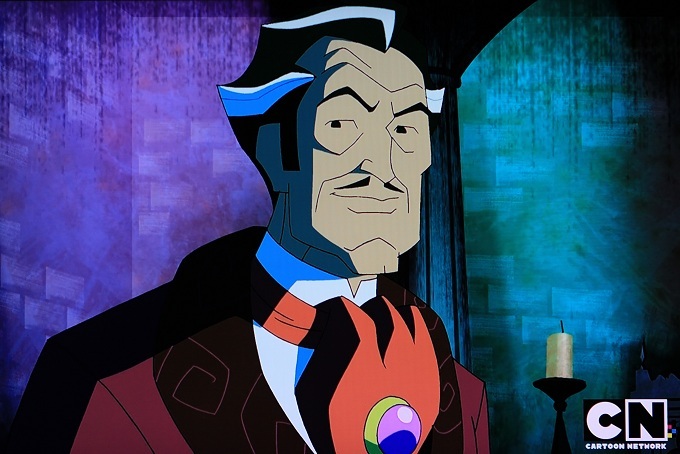 However, in the episode Nightfright, the series creators upped the reference to a fully realized character, compete with dead-on character design and an awesome voice impersonation by Maurice LeMarche, who apparently has a resume cooler than any three top-tier Hollywood actors put together. He was the voice of Egon Spengler from The Real Ghostbusters, Brain from Pinky and the Brain, Serpentor and Destro from G.I. Joe, and a bazillion other characters in cartoons that are not so much kid’s programming as pieces of our DNA. In Nightfright, Shaggy and Scooby win a contest to have dinner with Vincent Van Ghoul at his mansion, a spooky edifice where special effects ensure that there’s always a thunderstorm (“I can’t sleep a wink without it”) and the security system is controlled by an old pipe organ. Once arrived, the pair are chased by various monsters from Van Ghoul’s filmography before quickly learning that they are part of a pilot for a television series where guests come over and have dinner and a scare with Van Ghoul. But then the actual monster of the episode, Nightfright, shows up. Nightfright looks like The Darkness from Legend, except purple and without Tim Curry’s voice. 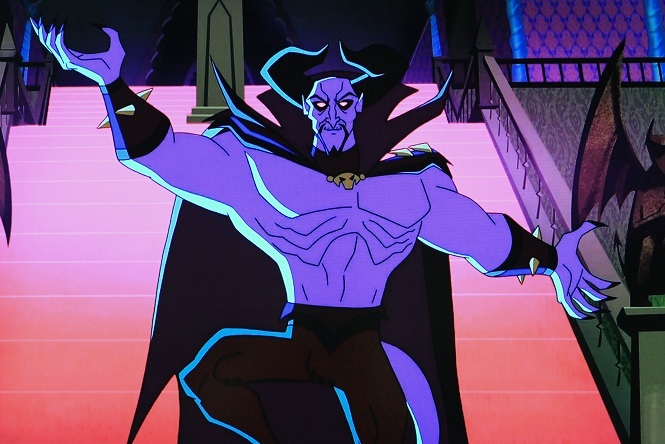 From that point on, Shaggy, Scooby, and the late-to-the-party Mystery Incorporated gang must solve the mystery of who Nightfright is and why the series didn’t at least hire a Tim Curry voice impersonator. 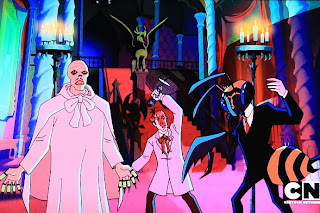 While it’s definitely a great set up and backdrop, the best part of the episode is watching the comedy duo that is Shaggy and Scoobs turn into a comedy trio as Van Ghoul holds his own with the other two by joking, running in terror, and generally doing things that require sound effects. Actually, it’s the second-best part. The best part of the episode are all the Vincent Price references, including nods to his roles in The Fly (here, it’s The Mutant Bee), The Abominable Dr. Phibes (The Repellant Dr. Phobos, in Scooby-Land), and House of Wax (Castle of Runny Discharge), as well as Price’s personal interest in gourmet cooking. 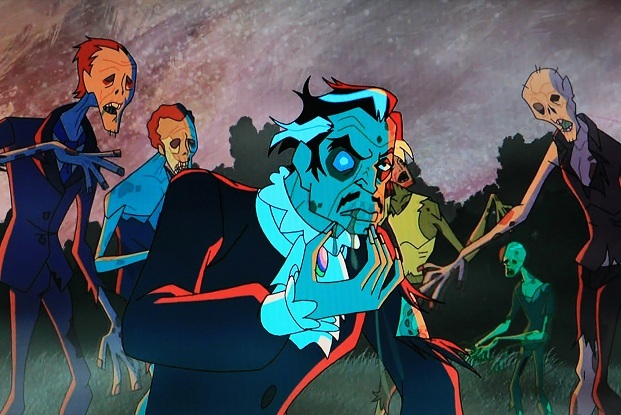 We also get to see Price as a zombie, something even Thriller wasn’t able to pull off. The entire episode’s a great homage and is actually one of the few that also circumvented my opening criticisms. You can watch it here to see if I’m lying. Incidentally, the series creators should also be congratulated for another episode, entitled The Shrieking Madness. While not as good a story as Nightfright, it is an homage to H.P. Lovecraft, with Jeffrey Combs voicing the horror author (called Hatecraft in the story) and the singular science fiction author Harlan Ellison playing...himself. If you're like me, that there what you're feeling at learning that is a eureka moment. All the problems of modern society just coalesced into a single problem with one unifying solution. 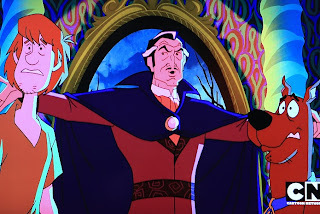 Cartoons these days just don’t feature enough Lovecraft or Ellison.